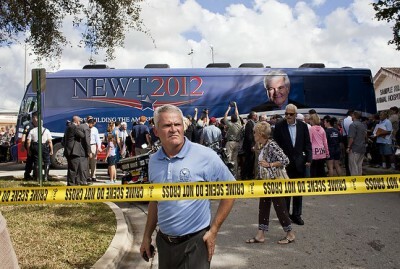 The Gingrich party bus rolls into town, as a former supporter and Newt look-alike walks away in disgust. Newt Gingrich named Herman Cain as his running mate, and more, in his quest for the presidency this morning, at a campaign stop in Tallahassee, Florida. 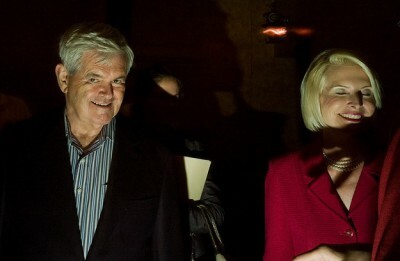 Gingrich secretly enjoying plan to have shadowy force dispatch with his current wife, so he can move on.